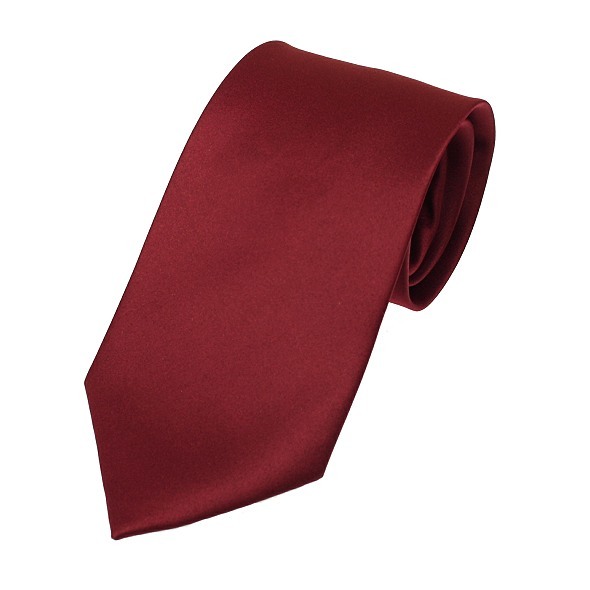 A plain burgundy satin tie with a non shiny, matt finish made from good quality material. Fully lined. A smart, square ended silk plain necktie in burgundy.